The end is nigh, folks. The end of the year, that is. Tomorrow I'm picking up a few little things at the grocery store, then I need to wrap presents and get ready for the festivities to begin. Work had a very pleasant, laid back quality to it today. I came in a little late because I had a quick errand to run. I had a sausage biscuit waiting on me when I arrived. I passed out gifts to my colleagues. I did some emails, I did some writing, I did some proofreading, a little talking and a lot of listening. We ordered Hot Chicken for lunch. I got mine mild, because I can't handle too much heat. And then we adjourned for Christmas. Done and done! It has been one heck of a year. Now that I've gotten used to writing 2017, it's nearly 2018. I had a little snafu with a package from Amazon, and I have to give mad props to their customer service team for going above and beyond. 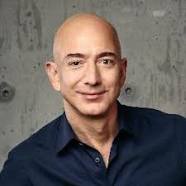 I used to think Google was our benevolent overlord, but I now understand it's Jeff Bezos et. al..
All Hail our *Prime* Minister! I keep hoping I have enough, or that at least it's equitable for everyone. I can't imagine anyone being disappointed, but then, who knows? Hope this Christmas finds you under the mistletoe with someone amazing. Merry Christmas, Allie Cat. Thanks for sharing your year with us.